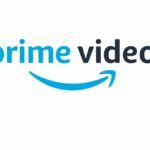 We all know that Amazon Prime has tons of movies for free. But this February, which is Black History Month, Amazon is highlighting content featuring African American actors and film makers from TV Show A Different World to film The The Tukegee Airmen. For a full list check bellow.